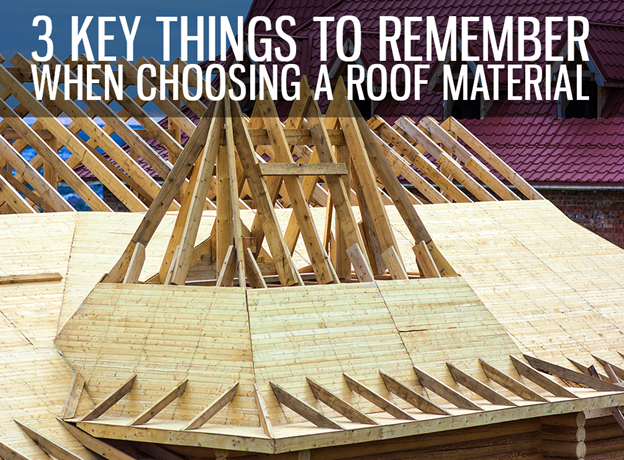 Choosing your material is one of the most important decisions you’ll make in re-roofing. Considering the large variety of options on the market, keeping key factors in mind can help with your search. As the authority in residential and commercial roofing in Knoxville, TN, Innovative Roofing and Siding wants to share with you the most important things to remember when picking your home roof material. Most engineers factor in the roof’s material to perform structural calculations before building the home. If your original roof is naturally heavy, then your home was built to carry such weight. Take note of this when re-roofing. If the weight of your replacement material is greater than the one being replaced, it might require more work. The project might take longer and cost more. Consider a material that’s either as heavy as or lighter than the original. As a leading roofing company in Knoxville, TN, we understand that transitioning from slate tiles to asphalt shingles is simpler and less costly than the other way around. In architecture, certain roof materials accurately match the historical style of particular homes. For instance, slate has long been the popular roof covering on Victorian houses. Nevertheless, some do break away from tradition these days. If the style of your home is centuries-old, a modern metal roofing system can lend a transitional appeal to its architecture. If you like your roof to look authentic at a fraction of the cost, asphalt shingles are a great choice. They emulate the unmistakable charm of slate at a lower price. Weight and aesthetics aside, consider durability, energy efficiency, weather resistance, and maintenance too. It is important to find the right roof material that includes those things that are important to you. From roof repair in Knoxville, TN to roof replacements choosing the right roof solution will last you for the years to come. The key is to understand and weigh every material’s pros and cons to ultimately make an informed decision. Let Innovative Roofing and Siding help you choose the best roofing solution for your home. We offer an array of quality options, such as asphalt shingles, metal, and slate. Call us now at (865) 444-6070, and tell us your needs.